SMC CDG1BN20-50 Air Cylinder Rubber Bumper Bore size 20mm. 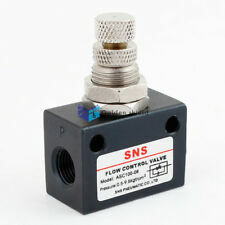 DSC025N160(=2 Festo DSNU25-160--A) Unimec Pneumatic Cylinder. Stroke: 45mm. Made of high quality stainless steel, the pneumatic cylinder has long service life. Pneumatic cylinder is quieter, cleaner, and do not require large amounts of space for fluid storage. Stroke : 100mm. Bore : 32mm. Action Type: Double Acting. Rod Type: Single Rod. Color: Silver Tone, Blue. 1Pcs 16mm Bore 25mm Stroke Mini Pneumatic Air Cylinder CDJ2B16-25-B. 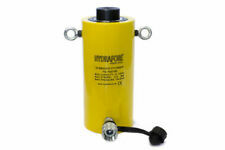 Six American Aerostar Hydraulic Cylinders Model 206L 10/04 P/N7423 for sale (new $127.00 ea)....Selling for $63.00 OBO. PARKER part# P5T-J050DHSE125. 2 available. Festo DNCB-100-320-PPV-A 532906 Standard Cylinder ! WOW ! Schneider Packaging SHA-2X3 Hydraulic Cylinder 2� Bore 3� Stroke ! WOW ! Parker 02.00-C2ANU14A1-1.000 Pneumatic Cylinder 2" Bore 1" Stroke ! NOP ! Model : SC40X200. Stroke : 200mm. Bore : 40mm. Rod Type: Single Rod. Action Type: Double Acting. Color: Silver Tone, Blue. 1Pcs 16mm Bore 25mm Stroke Mini Pneumatic Air Cylinder CDJ2B16-25-B. Starcyl A3A94-2.00X0.750 Flat Cylinder 2" Bore .0750 Stroke ! WOW ! 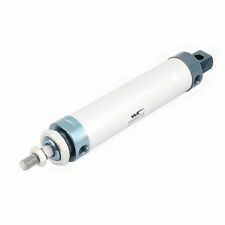 Energy AT508408 Hydraulic Cylinder 12"-2"/1.125" ! WOW ! SMC CNA2D63TN-150-D Pneumatic Cylinder With CNA2-63TND-UA Actuator ! WOW ! Parker 1.121LP91.500 Pneumatic Cylinder 1.12" Bore 1.5" Stroke ! NOP ! Hanna MS4-3LNC-2.50 Pneumatic Cylinder 2-1/2" Bore 3/4" Stroke ! WOW ! Festo DSNU-3/4"-2"-P 548476 Round Cylinder ! NOP ! Festo DFM-50-25-P-A-GF Guided Drive ! WOW ! NEW SMC MXH10-60 10mm BORE PNEUMATIC AIR SLIDE TABLE 60mm STROKE, 0.7 MPa MAX. Vesta Automation ACM-016.0300 Pneumatic Cylinder 16MM Bore 300MM Stroke ! WOW ! Parker 2.501LP91.50 Double Acting Compact Cylinder ! WOW ! Tonnage (tons): 20. Weight (lbs): 17. 1 Year Warranty. Stroke (in): 1.97. 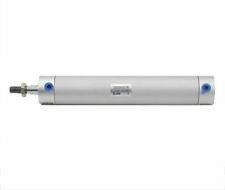 For long strokes with compact size and an integrated guide, the MY1 series rodless actuator provides an ideal solution. Features: 63mm bore and 100mm stroke, double action and single rod, 0.1-9Mpa. Bore : 63mm/ 2.5";Stroke : 100mm/ 3.9";Screw Shaft Dia : 16.7mm/ 3/8". Adjustable cushion on both cylinder end covers to make sure the cylinder works very smoothly, safly and with low noise. Parker 88DSR020 Pneumatic Cylinder DBL Action .88" Bore 2" Stroke ! NWB ! 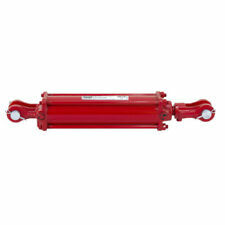 SMC C95SL50-250 Tie Rod Cylinder ! WOW ! SML MGQL63-50 Cylinder W/ Stroke Guide 63MM Bore 50MM Stroke ! NOP ! SMC NCDA1B250-0200 Pneumatic Cylinder ! WOW ! CKD STK-20-20-N11 Pneumatic Cylinder 20mm Bore 20mm Stroke ! WOW ! 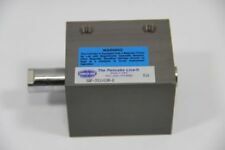 Parker 1.12US1604.0 Pneumatic Cylinder 2" Bore 4" Stroke ! WOW ! Parker 01.50CJ2MAU14AC1.500 Pneumatic Cylinder 1.5" Bore 1.5" Stroke ! NOP ! Parker 01.50CJ2AU14AC1.500 Pneumatic Cylinder 1.5" Bore 1.5" Stroke ! NOP ! Norgren RLF02A-SAP-AA00 Cylinder 2" Stroke 1/2" Bore 250PSI ! WOW ! Parker 02.00DB2MAU14A03.75 Pneumatic Cylinder 2" Bore 3.75" Stroke ! NOP ! Parker 01.50CJ2MAU14AC2.000 Pneumatic Cylinder 1.5" Bore 2" Stoke ! NOP !